To get your BottleLess water cooler installed, you have several different options. If you want to install your new BottleLess.com Water cooler yourself, we make it fairly straightforward. All coolers include our step-by-step instruction manual and online videos. Also, our customer service is available to help you every step of the way. Your cooler includes an installation kit so you shouldn’t have to purchase any additional parts. 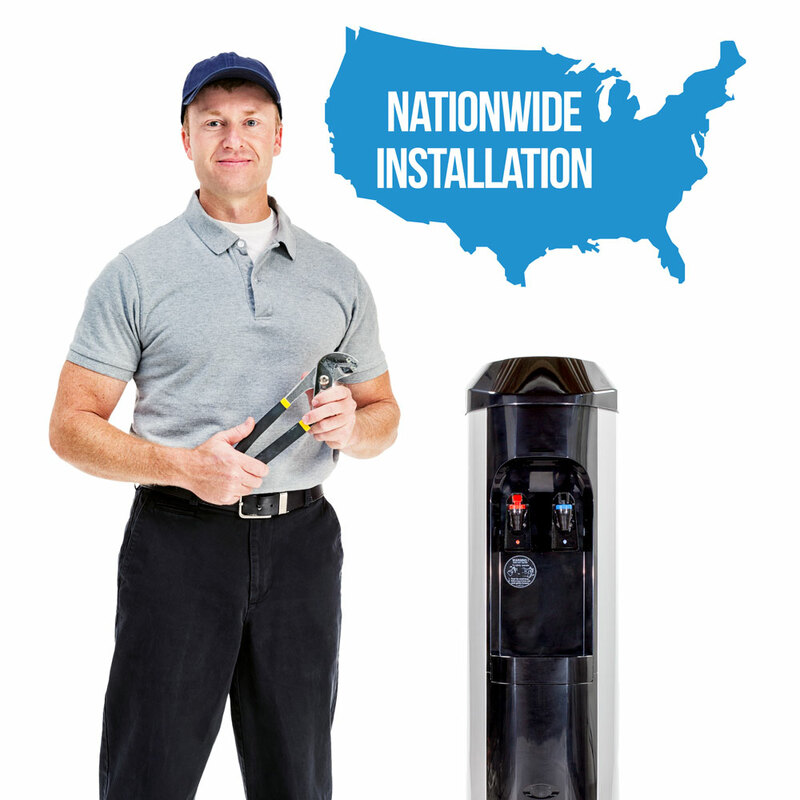 If you’d like BottleLess.com to have one of our National network of technicians install your new cooler for you, no problem. Just Add Cooler Installation to your shopping cart (only $199) while you are purchasing your cooler. Switching from another bottleLess water cooler to a BottleLess.com water cooler? If you are replacing an existing bottleless cooler, your installation is much more simple since the waterways are already in place. Therefore, set up is really easy. The current bottleLess water cooler just needs to be unplugged from the water connection – and your new BottleLess water cooler needs to be plugged in to the existing waterways. We provide you with a video that shows you exactly how to make the switch. 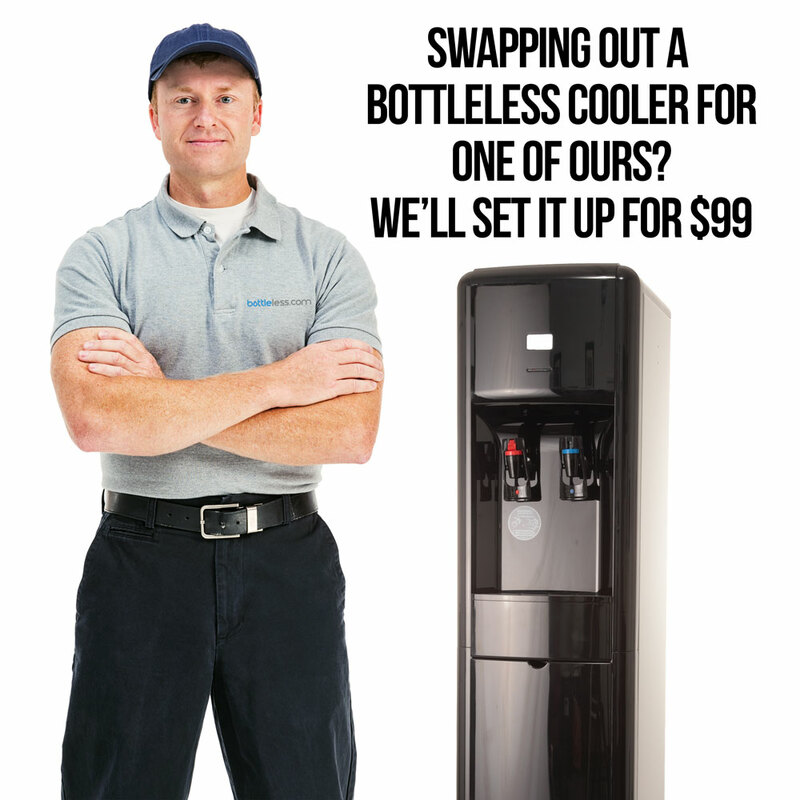 If you’d like to have a professional technician set up your cooler for you, it’s only $99. Just add to cart and we’ll take good care of you.